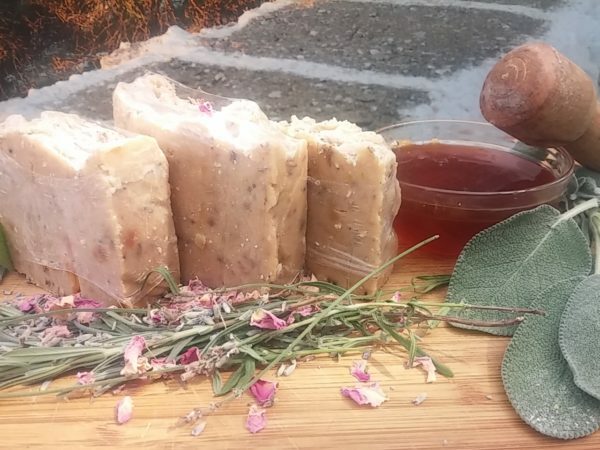 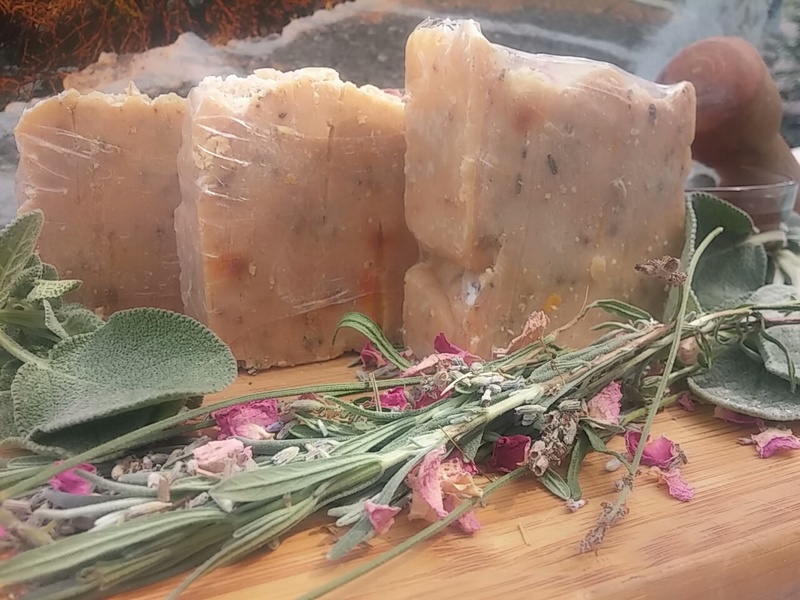 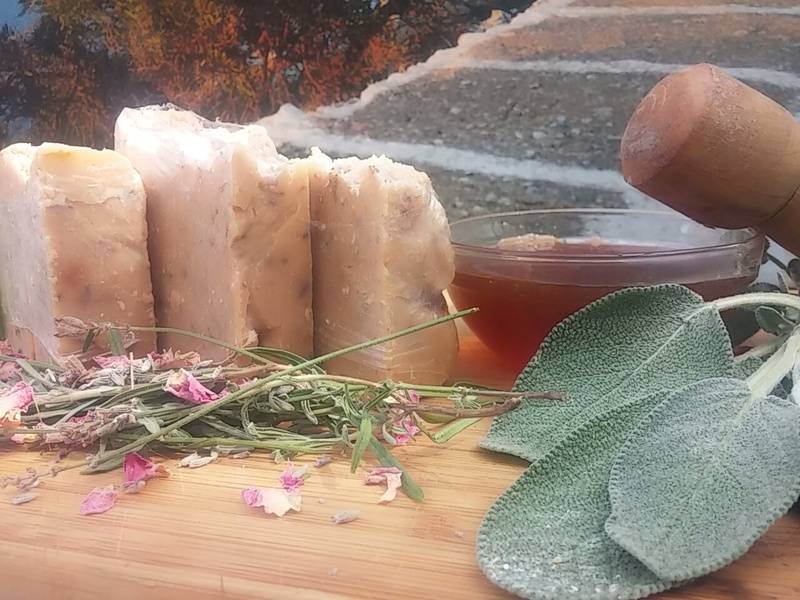 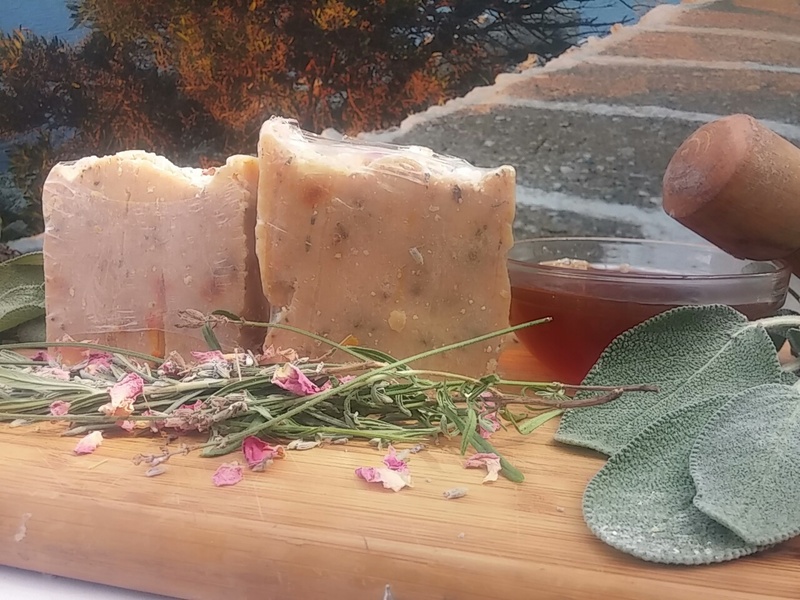 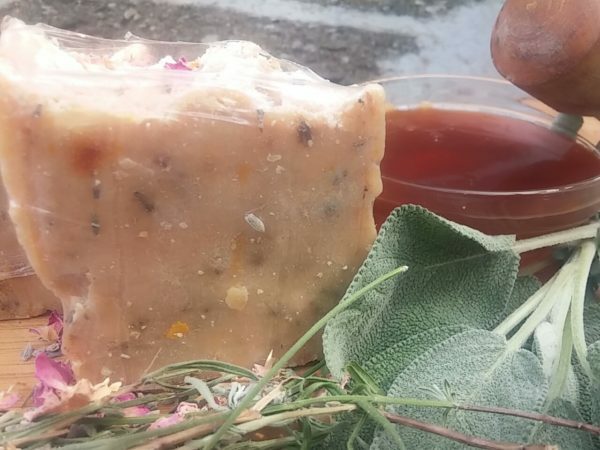 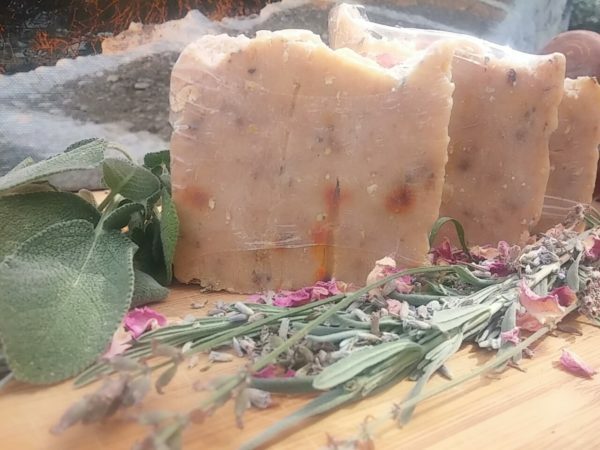 Indulge and rejuvenate like a Greek goddess with these all natural soaps made with herbs and oils imported from Greece– pure, elemental, and immortal! Live your myth! 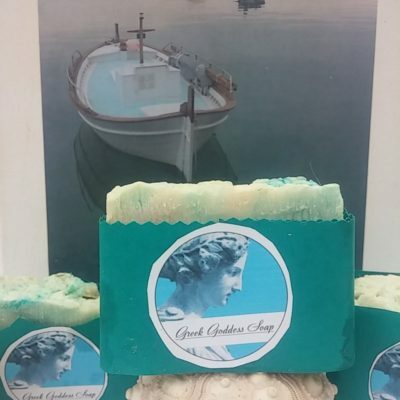 Be a Greek goddess! 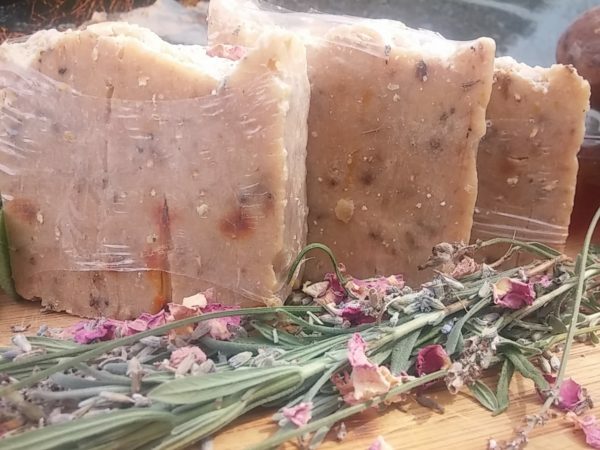 Each bar is approximately 8 ounces and can be shipped to you free of charge in the continental US. 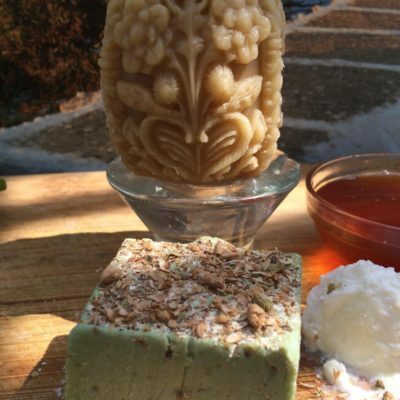 Goat milk has long been the beauty secret for many Greek women, going back to Cleopatra’s time. 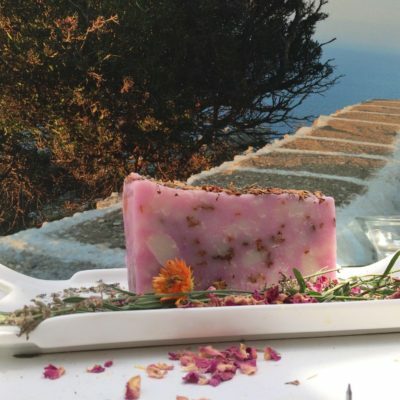 Our Greek goat milk soap is made with fresh goat’s milk to nourish deeply. 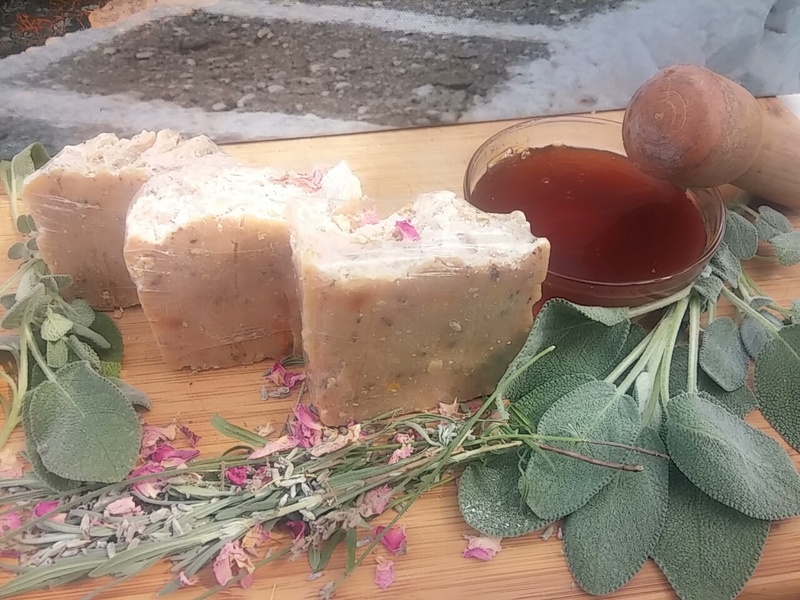 To this we add oatmeal ground to a fine powder and imported wildflower honey from Ikaria. 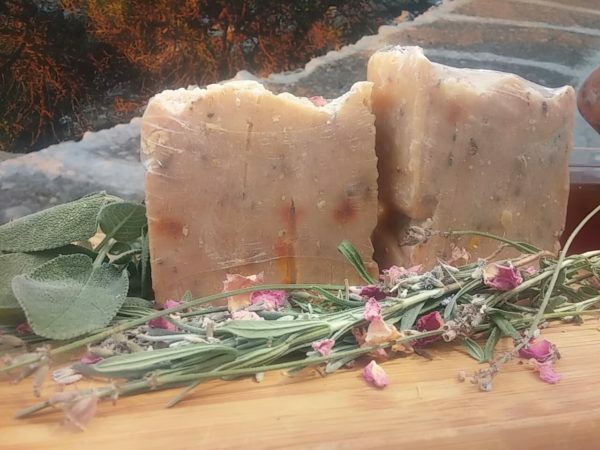 The creaminess of goat milk lusciously overlaps with the pungent fragrance of lavender to pamper your senses and lift your spirit. Lavender seeds provide exfoliation and annatto naturally red swirls. 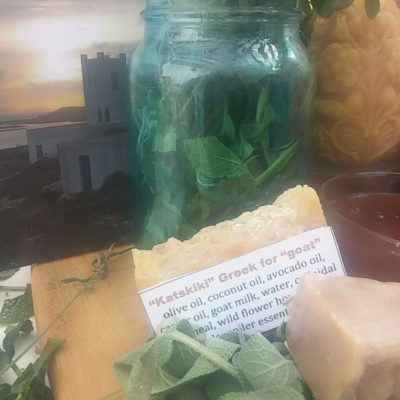 No artificial colors or additives-only pure, clean, elemental ingredients made with the goodness of Greece.